In 1948 when Elaine Pinkerton was five years old, her mother, Velma, relinquished her and her younger brother for adoption by a college professor and his wife. Velma had married too young and too hastily, wanting to escape farm life in Iowa more than she wanted a family of her own. When her young husband, Giovanni, showed little interest in playing house, Velma left to pursue her own dreams, along the way pawning off her children first on family, then on foster parents. Elaine felt her adoptive parents, the Beards, had rescued her. Life in foster care had been harsh. Who knew where she would have ended up if the Beards hadn’t found her? She did her best to become a real daughter to them. She began to keep a diary where she could express her innermost thoughts and feelings about her life. 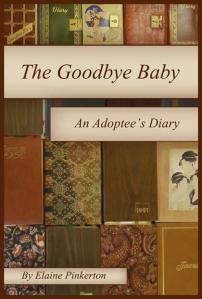 After forty years of journaling, Elaine decided to turn her private writings into a book, which ultimately became The Goodbye Baby: A Diary About Adoption. The diary entries included in The Goodbye Baby begin in 1956, when Elaine was thirteen, and continue through 1990. Via her diary, we learn about Elaine’s rebellious preteen and teen years, her disastrous first marriage and struggles after her divorce, and her relationship with her two boys. We see her struggling to claim her identity while the shadowy figures of her original parents, Giovanni and Velma, loom over her shoulder. Elaine Pinkerton generously agreed to answer some questions about The Goodbye Baby for Lost Daughters. Q: Your diary entry for December 6, 1957, states that you found a letter from your birth father in your adoptive father's files, that you read other letters in his files as well, and that your adoptive mother got mad at you. You were thirteen at the time. What did you know about your birth parents before you discovered the letters? Were your adoptive parents in contact with your birth parents throughout your childhood? Why did your adoptive mother react angrily? A: Knowledge about my birth parents was next to nothing. 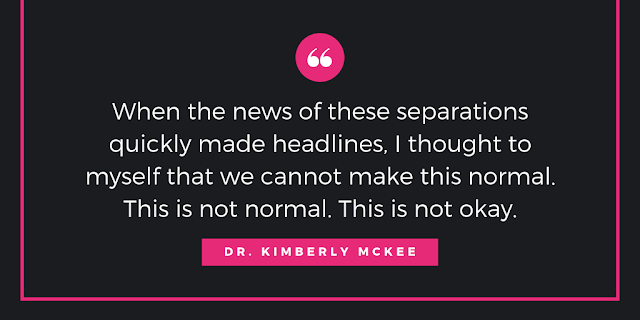 Years after the incident when I was thirteen, in talking with a therapist it became clear that my brother and I were probably removed from my birth mother by a children, youth, and families agency. I’d been sexually abused by one of my “keepers” and I think that my well-meaning adoptive parents wanted me to just forget about the bad things that had happened in my life up until they came to the rescue. I believe, though I can only guess, that my adoptive parents were in contact with my birth parents. However, the entire topic of "adoption" was taboo, so that question will remain unanswered. Q: While reading about your teen and young adult years, I was struck by how much you struggled with dating and romantic relationships. I recognized some of my own struggles in your life story. How do you think your adoption affected your ability to form and sustain healthy relationships with men, particularly in your formative years? A: Such a relevant question! In a way, it seemed that I undervalued any man who loved or admired me and just went for the self-seeking cads. I dated many boys and sort of “collected” them in my desperate search to find someone who loved me for who I really was. Since that was something I couldn’t answer (who I really was), the search was doomed. Being adopted was a huge factor in my lack of self-acceptance. I think that love of another requires, first of all, love and acceptance of oneself. It took many years for me to get over the conviction that my birthmother gave me away because I wasn’t good enough. Q: How did your reunion with your birth mother in 1986 come about? Did meeting her and learning about her struggles ease the pain of your relinquishment in any way? A: My reunion with Velma in 1986 came about through a letter she wrote to me in the earlier 1980s. 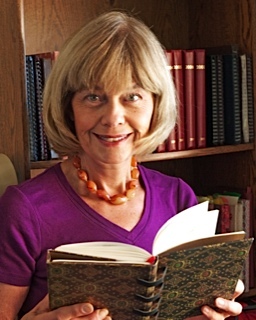 She had sent me a book on Esalen (which she’d been studying) but my husband opposed my writing back to her. To quote: “We might end up with her on our doorstep,” meaning that she would be undesirable and not someone we would want in our living room. I can hardly underestimate how bad this made me feel, but I’d had so many years of sweeping adoption feelings under the rug that I meekly complied. By 1986 I was no longer married and was free to meet Velma. It was really helpful to hear of her early life, her struggles, and know that she didn’t give me up easily. She simply couldn’t cope with being a mom. Q: Why did your birth mother not tell her other daughter, your half-sister, about you and your brother? A: I can only guess my birth mother’s reasons for not telling Christine, her other daughter, about me. Originally, after the 1986 reunion, she said that “I was too busy" to meet Christine. At that time my first book was out and I was occupied with promoting it. Then she told me that when she (birth mom) turned 80, she would have us meet each other. However, my birth mother died at age 92 and the “meeting” never happened. Possibly she felt that we would compare our childhoods and judge her harshly. This would not have been the case, I feel certain, but there was no way to cross the barrier. My half sister surmised that our mother was mentally ill, and perhaps this was true. It is heartbreaking to me that the walls never came down. Had I known then what I know now—learning so much about other adoptees, reading birth mothers’ stories (such as those in Ann Fessler’s excellent book The Girls Who Went Away: The Hidden History of Women Who Surrendered Children for Adoption in the Decades Before Roe v. Wade), and connecting with other adoptees through the Internet—I would have been able to bridge the gaps between my birth mother and me. Q: You describe creating a labyrinth in your backyard using stones and you also mention hosting a labyrinth walk at Santa Fe's Museum Hill. Walking the labyrinth seems to be a form of meditation. How did you discover the concept of the labyrinth, and how has having your own personal labyrinth helped you find peace? A: I discovered the labyrinth ten years ago in an elementary school playground, at the school where I was an educational assistant. My special student, Dominic, had cerebral palsy and needed physical exercise, especially to practice walking in a deliberate way. The playground labyrinth was perfect for helping Dominic and we walked it every day. Moving slowly and deliberately around the spiral to the center and then back out—this was wonderful therapy for my special charge. It turned out to be therapeutic for me as well. When I lost my husband eight years ago, I decided to create my own backyard labyrinth. The planning, building, and daily walking of the circular path provided comfort and a “walking meditation.” I’ve practiced daily labyrinth walking ever since. After studying with labyrinth author and authority Lauren Artress, I earned my Labyrinth Facilitator certification and became a member of the local Labyrinth Resource Group board. For several years, I facilitated the summer and winter solstice walks at the Museum of International Folk Art. Walking the labyrinth slows breathing and simplifies the day. It lets me pause and simply be with myself. 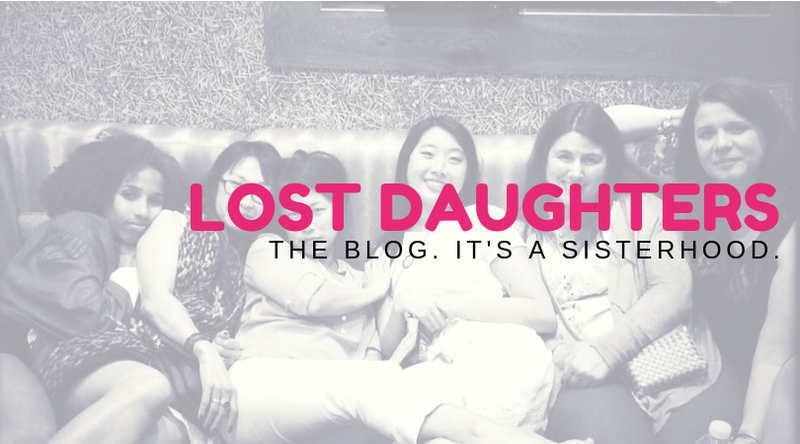 Part of my journey as an adoptee has been about recovery. The feelings of inadequacy that took root when I was growing up took so many years to go deep. It takes time to dig deep, to be in touch with my emotions, and to reshape that "inner self." Much of my recovery is about love and forgiveness. By reviewing years of journals (roughly 15,000 pages of handwritten diaries), I realized that I had been my own worst enemy for years. The labyrinth has enabled me to get in touch with the much younger, nonjudgmental me—the child's mind, if you will. 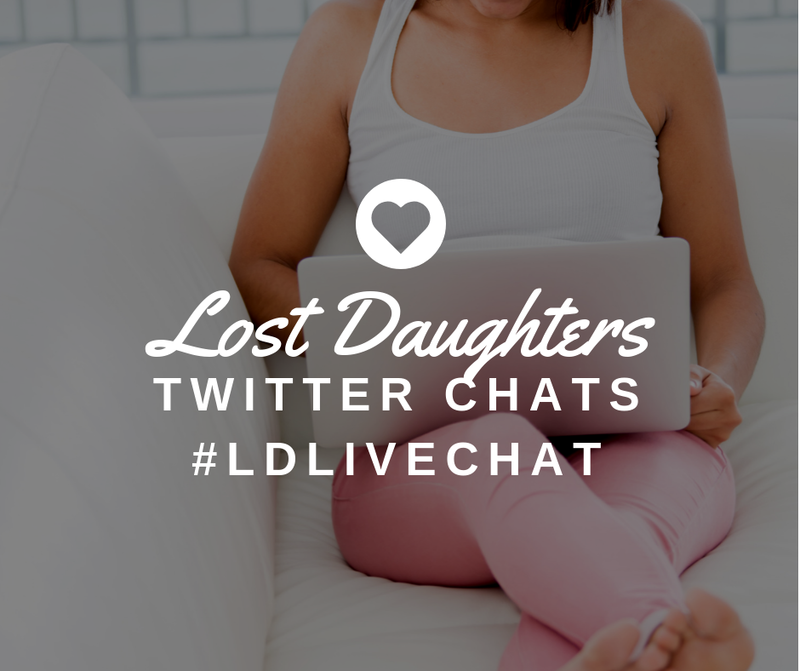 Q: How has writing your diaries and then writing your book helped you to process your adoption? Do you still keep a diary? A: The diaries themselves, years of my life, helped me learn about where I'd been. Not just geographically or chronologically, but how self-defeating I'd been during the 1950s through the 1980s. I reviewed the diaries for another reason: I did not want them around after I was gone. My grandchildren would not have to go through them. I'd done it myself. Yes, I do still keep a daily journal. It is a comforting thing to record the events of the day, both large and small. Every day, I feel that the small blank book by my bedside is asking "And so, how was your day?" and I end each evening with a summary. I also use my diary for writing ideas, descriptions, and for listing all that I'm grateful for. The gratitude aspect of my diary has become increasingly important.